As battery technology experts since 2007, we’re passionate about advanced energy storage, innovation and quality. The only thing we’re more passionate about is serving our customers in the best possible way! We believe our batteries are the world’s safest, most robust and most efficient in the industry. We hope you will get in touch and confirm this for yourself! As a UPS is used in challenging environments like hospitals, data centers and during industrial processes, the single most critical element of the UPS performance is the battery quality. Because a UPS will only be used occasionally in most cases, the battery must be capable of supplying the high current demand of the UPS for a sustained period of time. Like the Super B battery it needs to be highly reliable and safe with a long life expectancy. A Super B Lithium Iron Phosphate battery can deliver a lower total cost of ownership compared to conventional lead-acid batteries. The batteries provide much longer run-times and can be recharged faster than comparable batteries. With BMS as standard with the ability to predict UPS failures, the Super B batteries are designed to ensure business continuity thus giving you peace of mind. This means that they fulfill very specific requirements in terms of reliability, safety and lifetime under a dynamic use profile and very big loads. They comply with the particular UN regulations and type approvals, e.g. Lloyds and DNV. 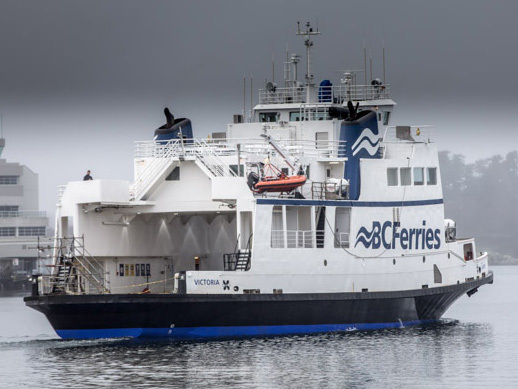 A prime example of Super B’s contribution to a challenging project is the refit of the MV Tachek ferry, which has been relying on Super B batteries now for two years in the field, totally problem free. Highest Efficiency: Super B batteries feature a patented Battery Management System that allows superior efficiency, reliable communication with the system, and superior protection and diagnostics. Large marine battery banks store a huge amount of energy, and this needs to be treated with great care. Because Super B believes Safety comes first in any marine application, we base our batteries on Lithium Iron Phosphate Technology (LFP), the safest lithium technology available today with superior abuse tolerance. Our technology avoids the risk of self-combustion or in extreme cases even explosions known from other Lithium technologies. Next to our inherently safe LFP battery technology, our batteries have advanced secure internal electronics with integrated temperature and current sensors to continuously monitor and report the state of the battery. By improving the conventional BMS and implementing the Battery Communication Interface and PLC code for the integrators switchboard, the next step in battery integration has been realized. This provides flexible ‘plug and play’ solutions which are cost and time effective – delivering safe, powerful yet reliable, low maintenance results. 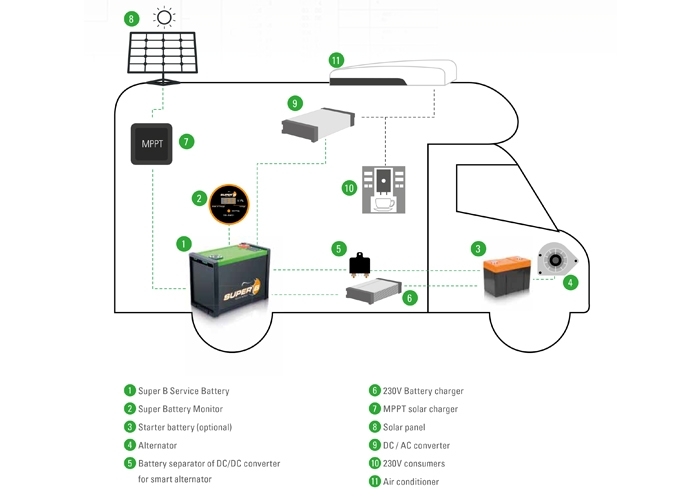 All batteries can be interconnected and act as one big battery system – Scalable configuration options are endless. Super B cherishes your precious energy by offering best in class efficiency compared to other technologies. Battery energy management reaches more than 96 percent efficiency, which not only saves valuable energy but also minimizes self-heating of the battery systems, further increasing lifetime and safety. The use of Lithium batteries in cars, motorcycles, heavy vehicles and off-road equipment is increasing rapidly. Lead Acid batteries are being replaced by Lithium batteries to improve charge/discharge performance, save weight, save space, increase lifetime and avoid Pb (lead) in the environment. Within these industries different types of batteries are used. The main categories are: 12V starter batteries, 48V batteries (new board net standard) and EV batteries. Super B is specialized in the 12V and 48V solutions. Charge and discharge at high currents: Charging times of 5 minutes can be reached. Our automotive batteries offer phenomenal starting power and massive deep cycle reserve power. They are capable of providing engine cranking pulses of 2250 amps for 5 seconds! 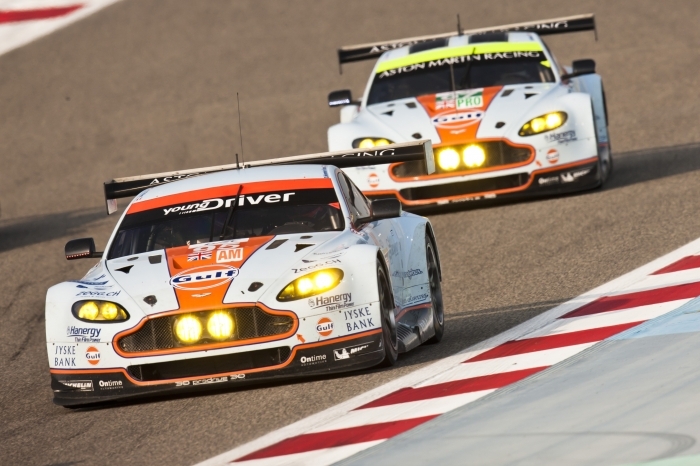 Motorsport has long served as a proving ground for developing and improving vehicle technology. A lot of racing series provide an ideal research and development platform for pushing the boundaries of mainstream vehicle technology. At present, research into rechargeable Lithium Iron automotive batteries is being driven mainly by the requirement in the automotive industry for long service life and charge lifetimes, high discharge currents, the need for rapid charging, and, additionally, cost targets. While Lithium Iron Phosphate has helped reduce the weight of automotive batteries, it has also helped bolster safety. Safety is extremely important and therefore Super B uses the safest Li-ion technology available: Lithium Iron Phosphate. Thorough testing of all our batteries is carried out in accordance with current legislations and we meet all relevant type approvals like UN 38.3, for full reference see Certificate of Compliance. Super B’s lightweight automotive batteries have been developed for a number of applications ranging from motorbikes to military trucks. Our existing customers include car manufacturers like Renault, Aston Martin, several military contractors and many more. Super B possesses several patents on the complete battery design. In addition to standard solutions, we offer customer specific dedicated developments for higher volume projects. The long term Lithium battery expertise of Super B leads to innovative improvements for your energy storage: Best in class reliable battery designs at very competitive cost. Building on the success of the 12 volt technology, Super B has been at the cutting edge of nominal 48 volt developments so you can take full advantage of our Lithium Iron technology in your designs. Introducing 48V systems will help comply with stringent CO2 regulations and fuel saving by introducing mild hybrid 48V systems and reduce (cabling) weight. Super B can assist engineers of global car manufacturers to produce a vehicle application suited to their individual needs. • Best in class efficiency, lowest self-heating. Solutions possible without active cooling. • Integral BMS/switch/fuse with very accurate State Of Charge management. • Standard CAN or LIN interface to vehicle for battery monitoring, switch control and diagnostics. • Development according automotive standards including ISO26262 functional safety, AutoSAR etc. Camper Batteries play an important role in creating an independent home from home. Camper Batteries play an important role in creating an independent home from home. In the modern motorhome everything from fridge to television to the water heater relies on the camper battery. After all it’s your machine’s life force. A Super B camper battery system will help you enjoy your motorhome experiences for much longer, more efficiently, more reliably, at a fraction of the weight. Lithium batteries provide much more power and significantly better performance compared to traditional lead acid (Pb) batteries. They are a lot lighter (50-100kg weight saving for a large camper) and easily last 3 times longer. Do lithium batteries only have benefits? The answer basically is a clear yes, with one important remark: There are various Lithium battery technologies and some of them aren’t inherently safe. That’s why Super B uses Lithium Iron Phosphate, also known as LiFePO4 or LFP, the safest and most advanced technology available. It’s a clear improvement over NMC technology found for example in smartphones and laptops. Super B reduces risk to an absolute minimum by concentrating on many layers of safety. The inherently safe technology is complemented with integrated smart electronics and algorithms, these continuously monitor health, temperature and currents to ensure top condition and maximum energy efficiency. Our batteries have also been tested according to all applicable European safety standards and can be transported and used totally safe. With traditional lead acid (Pb) batteries, as soon as a high load is placed on it, there is a sudden drop in voltage. The voltage then continues to decrease until the battery is completely discharged. By contrast the discharge characteristic of a Super B camper battery is very different. The discharge curve is close to linear. Even under very heavy electrical loads our batteries will maintain full power, allowing you to use any equipment anytime without compromise. Super B lithium batteries have a very low self-discharge rate, 10 times lower than traditional lead acid batteries. This means that your camper battery does not discharge if you store your motorhome for a number of months or even a full year. Super B batteries are ready to go on another trip when you are! Super B camper batteries can be charged many times faster than traditional lead acid batteries. Within 1 or 2 hours the batteries will be fully charged meaning an average trip from A to B is already sufficient. Another advantage is the quick and efficient storage of solar panel energy. 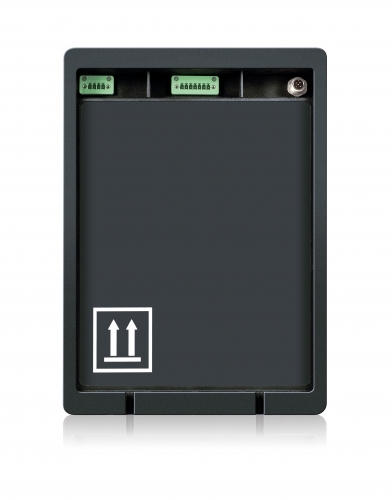 The Battery Management System (BMS) is critical to the quality of a LiFePO4 battery. The patented active BMS from the Super B battery permanently coordinates and balances the power flow. The Super B batteries know the exact state of charge and state of health of the battery and can communicate this to an external device, for example a display that shows State of Charge and overall battery condition. Lithium Iron Phosphate batteries have two important advantages over other lithium-ion chemistries and those are thermal and chemical stability, both of which improve battery safety. Safety and reliability are key aspects of any energy storage device, including batteries. This cannot be determined or evaluated by one criterion or parameter. Rather, it is determined by the implementation of complementary approaches that work together to enhance safety and reliability. As this approach is applied to batteries, thermal stability is perhaps the most important of several parameters that determine the safety of Lithium Iron Phosphate cells, modules and battery packs. As energy increases, designing safe battery packs and cells becomes more challenging. Complementary Range To produce the safest battery we believe in passive safety, this means that even without electronics the battery should be safe. On top of that we add electronics to make the battery even safer and more durable. * Casing: The super B casings are especially designed for extreme environments and abuse. In an event of a cell failure there will be no visible damage on the outside of the battery, only a 2 mm lifted top cover to release the internal pressure. * Electronics: All our batteries have internal electronics which makes the batteries even safer and more durable. All Super B batteries are compliant to the UN38.3 and IEC 62281, on top of that we do several tests in more extreme conditions to make sure that our batteries are safe at all times. The diverse products and services of the marine industry are used for recreational, commercial and defense activities. Maintaining the electrical power source systems is, as you might expect, one of the most important activities in all these usages. Batteries need to deliver many different power needs. There can be a need for infrequent to frequent use or to power single or multiple electronic accessories. These varying needs directly affect the type of service required by a marine battery. This is why Super B has produced a full range of batteries, ranging from 3.2Ah to 160Ah which can be used up to 1500V in series and unlimited in parallel. Surely this will provide solutions for all these varying needs. With the current emphasis on the impact on the environment and the need to reduce emissions and to lower operating costs, many commercial operators and individuals alike are looking to electric solution like hybridization. This day and age we have measured facts regarding the impact we have on our environment but this also gives us the opportunity to measure the improvements we can make and to create innovative and sustainable technology solutions.